A parliamentary report of 1777 recorded parish workhouses in operation at Battle (for up to 55 inmates), Bexhill (40), Brightling (40), Ewhurst (45), Hollington (24), Mountfield (30), Seddlescombe (30), and Westfield (36). 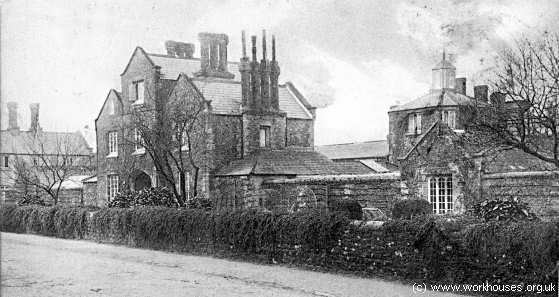 A parish workhouse existed in Battle on the site later occupied by the Senlac Hotel. Sussex: Ashburnham, Battle (3), Bexhill (2), Brightling, Catsfield, Crowhurst, Dallington, Ewhurst (2), Hollington, Mountfield, Penhurst, Sedlescomb, Westfield, Whatlington. Later Additions: Hollington Rural (from 1897), Hollington St John (from 1897). The population falling within the Union at the 1831 census had been 12,068 with parishes ranging in size from Penhurst (population 102) to Battle itself (2,999). The average annual poor-rate expenditure for the period 1832-35 had been £14,235 or £1.3s.7d. per head of the population. Battle workhouse was designed by Hastings-born Frederick Thatcher who, in 1834, was one of the first fifteen associates of the Institute of British Architects. 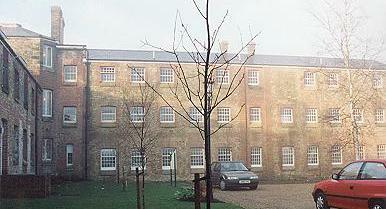 The workhouse was built in 1840 at a cost of £7,200 to accommodate 440 inmates. Its plan was based on neither of two most popular layouts — the "square" and the "hexagonal" — but was somewhere between the two, and bears some resemblence to the union workhouses at Leighton Buzzard and Newport Pagnell. The Battle workhouse layout is shown on the 1875 map below. Battle workhouse from the south-east, c.1908. 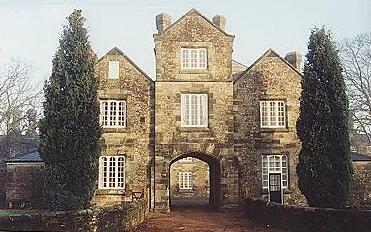 The front range, which features an entrance archway, rises to three storeys at its centre, with single storey blocks to each side. Battle workhouse from the south-west, 2000. Battle entrance from the south, 2000. 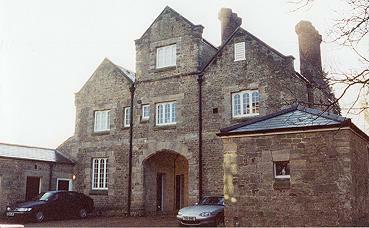 Battle main block from the south, 2000. Battle entrance block from north-west, 2000. To the rear, the main accommodation blocks form an inverted 'T', with an octagonal hub at the centre. Two-storey ranges run to the east and west, with a three-storey range to the north. The outbuildings across the arms of the 'T' are angled to give a semi-hexagonal perimeter. Battle north and east ranges, 2000. An isolation hospital was added at the north-west of the site. This was later used as a nurses' home. After 1930, the workhouse was known as Battle Public Assistance Institution, then in 1948 became Battle Hospital, specializing in geriatric care. 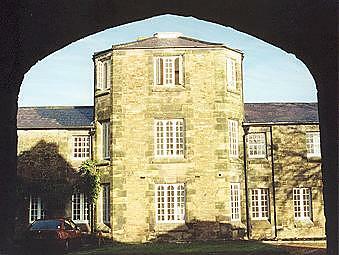 Following the hospital's closure in the late 1990s, the buildings were converted for residential use. East Sussex Record Office, The Keep, Woollards Way, Brighton, BN1 9BP. Holdings include Guardians' minutes (1835-1930); Master's report books (1902-1930); Births register (1866-1930); Deaths register (1835-1930); Lunatics register (1865-1930); admissions and discharges (1911-30); etc.